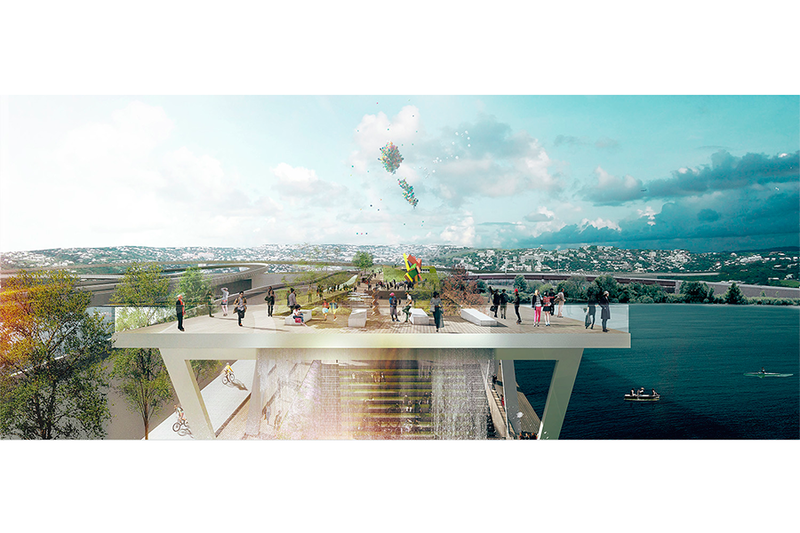 OMA+OLIN’s winning design for the 11th Street Bridge Park Competition connects two historically disparate sides of the Anacostia River with a series of rooms and active zones, including two sloped ramps that elevate visitors to maximized look-out points to landmarks in either direction. Each ramp terminates in a waterfall that visually reconnects the ramps to the river below. In addition to demonstrating how plants cleanse captured rainwater, the waterfalls above the bridge deck provide cooling breezes and a calming sound. The waterfall below the structure collects surface river water and drops it back into the river, emphasizing the need for river aeration and higher oxygen levels. 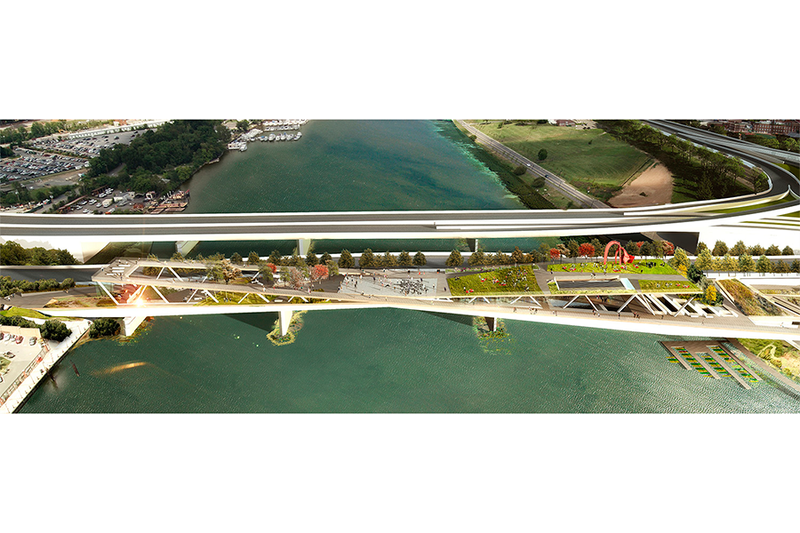 To encourage visitors to the bridge and neighboring communities, the design includes amenities for comfort and refreshment and an open plaza for markets, festivals and theatrical performances. The form of the bridge creates an iconic encounter, an “X” instantly recognizable as the river’s new image.